All Womanswork sun hats shield more than 95% of harmful UVA and UVB rays. Womanswork Raffia Sun hats are made with 100% raffia, which is the finest straw used for hats. Raffia is bendable and doesn't get brittle or break in the sun. It's water and stain resistant too. One size fits most. See further sizing and care information on individual product pages. The beauty of a cotton hat is you can roll it up and take it with you. 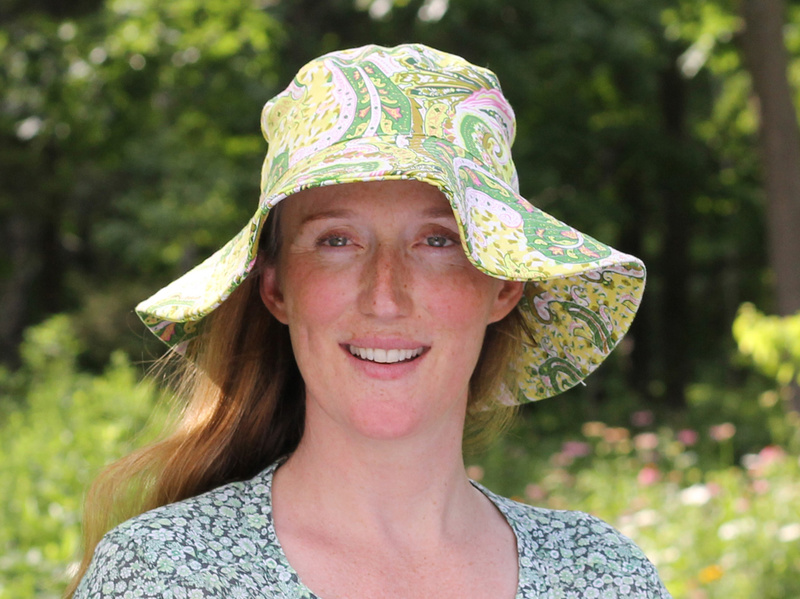 Our sun hats are lined in cotton. The colorful fabric prints are Womanswork exclusives, designed to match our gloves. Cotton fabrics have a touch of lycra in them so they're extra comfortable and colorfast. One size fits most.